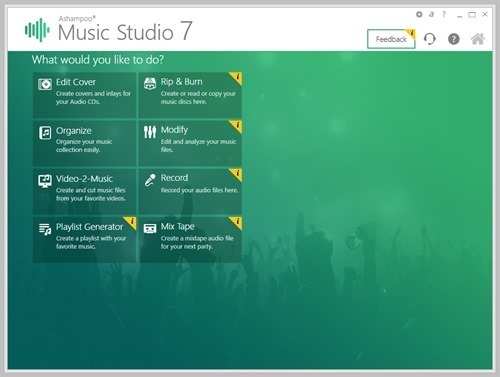 Ashampoo Music Studio 7 is a cool application for Music lovers, it have all the features you needed including organizing your Songs, RIP from CD/DVD/Blu-Ray discs and many more. We have conducted Giveaways of the previous versions of this handy software earlier. So our readers may be familiar with the product. The installation of the product is straight forward all you will have to select is the theme and the installation directory. After installation you can activate it with the key. You will get a Free trail period of 10 days if you want to test the application. Music Organizer - Add Folders/Files to the Organizer and let it analyze them, just choose a stand to name them, the application will rename, arrange the files which will be so easy to understand and use. RIP music from CDs/DVDs to portable file formats such as MP#, AAC etc. 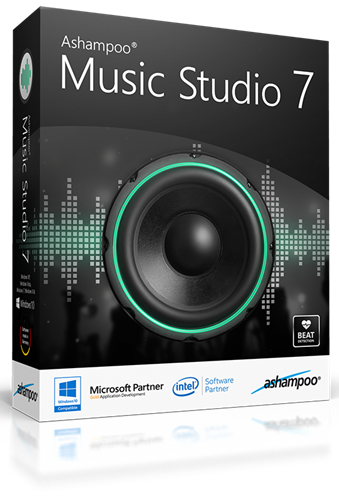 We have 5 Full version License keys of Ashampoo Music Studio 7 for Giveaway. After a long time we are going to conduct giveaways on our website again. We are expecting our readers will be supporting us again by sharing these giveaways. How to get Legal Ashampoo Music Studio 7 FREE full version license, just participate on the giveaway below. Rip, burn, cut, convert, mix, organize your music file with this ultimate Ashampoo Music studio.